Our fuzzy mystery seeds from last week apparently stumped everyone, probably because they are fairly rare and localized. They were from a desert rosemallow or Coulter's hibiscus, Hibiscus coulteri. 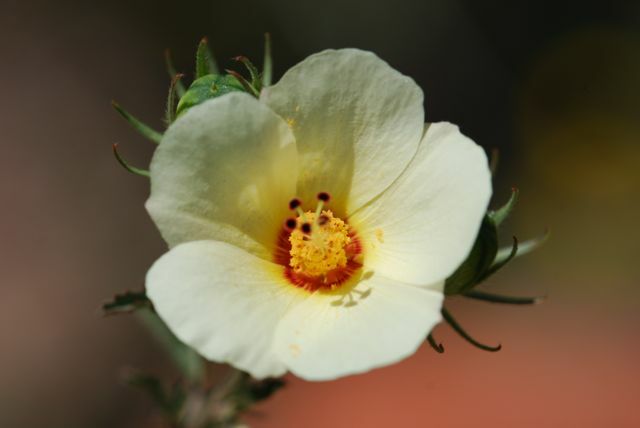 Desert rosemallow is a scraggly perennial shrub that reaches three to four feet high. Its most prominent feature is its beautiful cup-shaped yellow to cream-colored flowers. The flowers produce unique hairy or sericeous seeds. It should not be surprising to learn that desert rosemallows are relatives of other plants with fiber-covered seeds, the cottons. The flowers resemble those of Thurber's cotton and commercial cotton. This is also a good plant to highlight during pollinator week because it attracts bees. 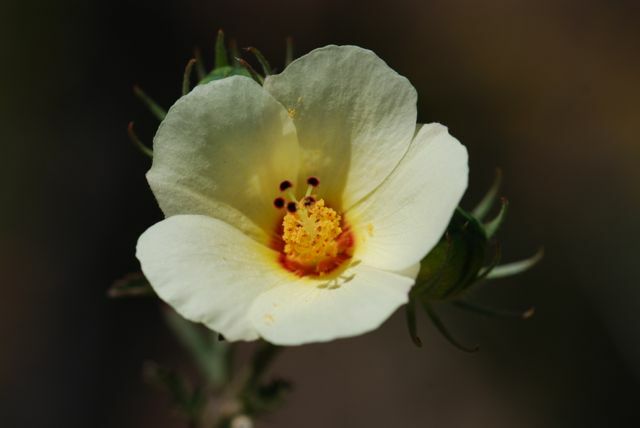 More photographs of desert rosemallow are available at the Native Plant Database and Firefly Forest. 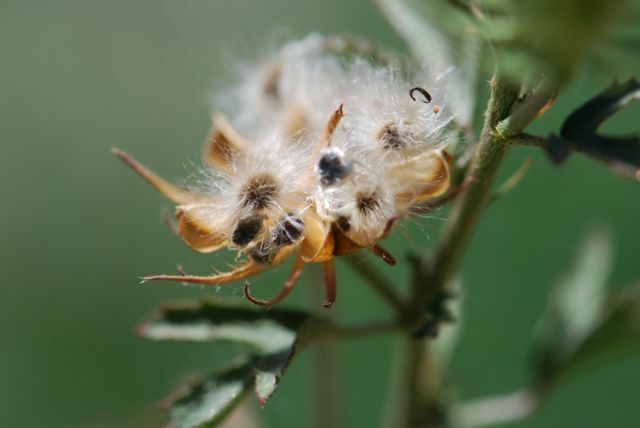 Have you spotted any interesting seeds this week? Hi, I would like this kind of Hibiscus seed. Can you send me? I took the photographs of this plant at a public garden, so I'm afraid I don''t have any seeds.